Winter view. (note the paw prints!) 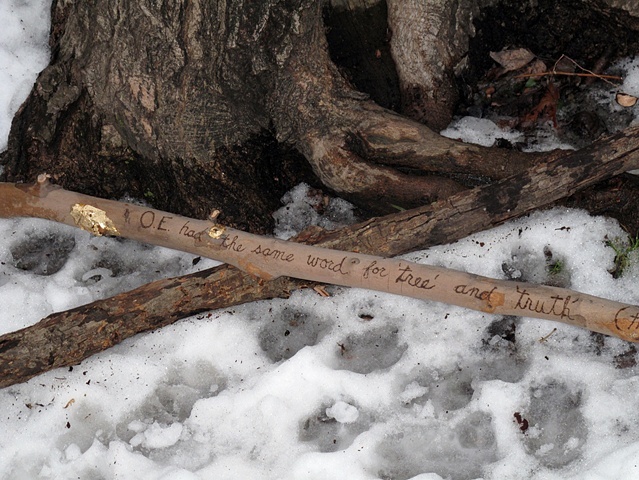 Text reads, "OE has the same word for tree as truth"